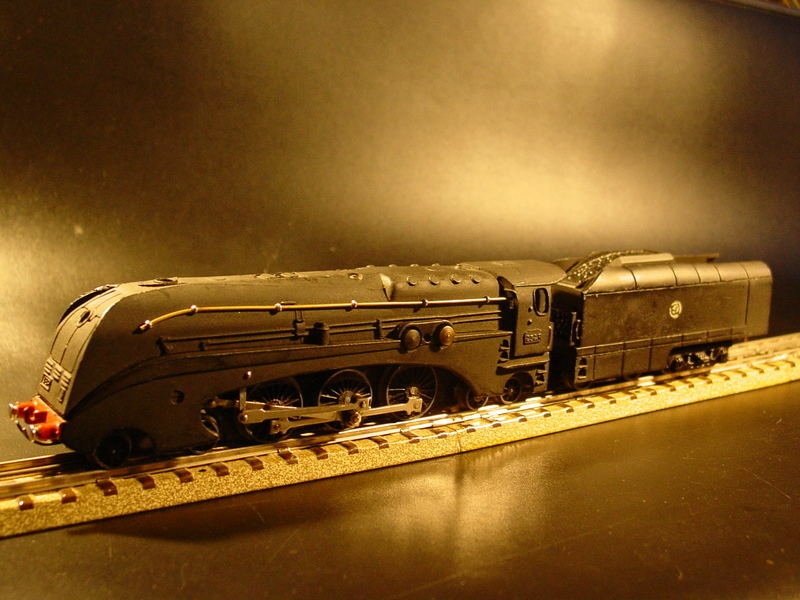 As soon as I clapped eyes on the black streamlined version of the 232 locomotive, especially, the JEP HO scale model version, I felt that I had seen it somewhere before. Now I know where that was. My Michelin foot pump which lurks under the coat stand in the hall. 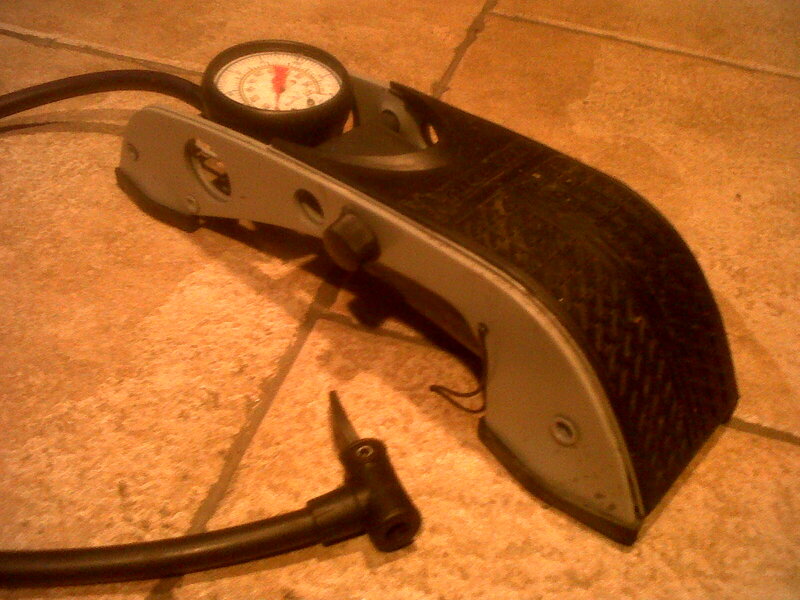 It is a Michelin foot pump, after all. 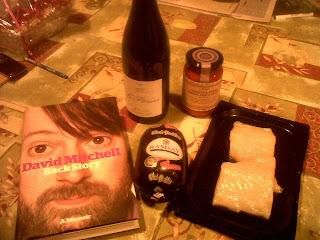 Black pudding, tomato-based sauce, lightly smoked haddock, bottle of Southern French red wine and David Mitchell's memoir. Background music provided by my iPod, in its Bose dock, set to random. Mixed the tomato sauce with the black pudding and served the haddock on top. Very successful. This is a very funny and perceptive book. "The problem is that a proper meritocracy would be heartless place. In such a society, those at the bottom of the heap not only have to cope with poverty, boring jobs or no jobs, they are also denied the solace of considering it unfair. I have 19 and a half days' of recordings stored in my iTunes library and today I sorted them by duration - shortest first. 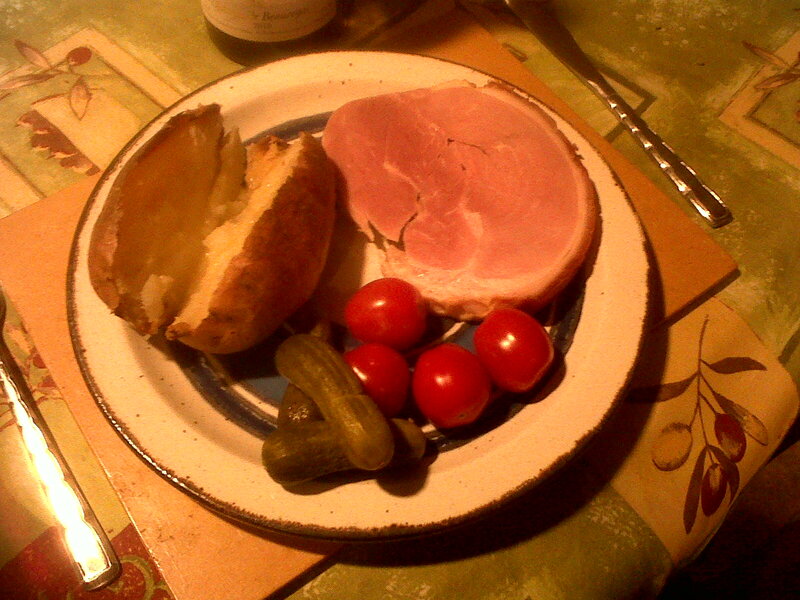 My thinking was that I wanted a random element to my listening but didn't want any individual item to last too long. So iTunes on my laptop began to work its way through the 19 and half days, track by track. 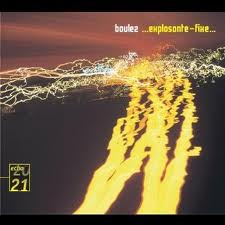 The longest 36m 43 seconds by Pierre Boulez - "Explosante fixe"
I have over 100 tracks that each last less than 60 seconds. 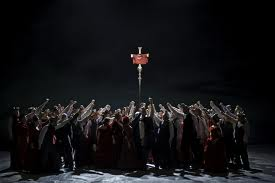 If ever I'm hospitalised in an apparently vegetative state I would like earphones to be strapped to my head and the 19 and half days of music left to play itself out in that order: from Bob to Boulez. Seriously. 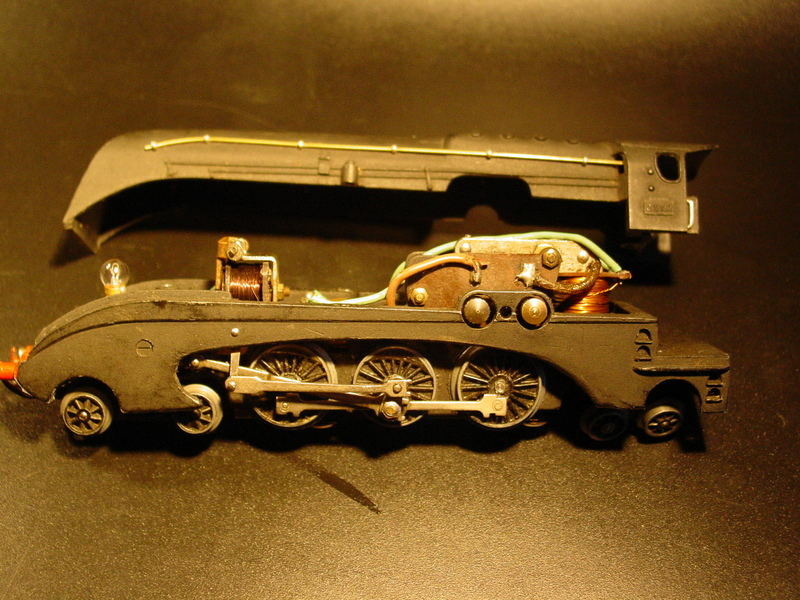 Beginning to make a little progress on pinpointing which 232 locomotive I want for my layout. Basically, there are green ones and black ones. 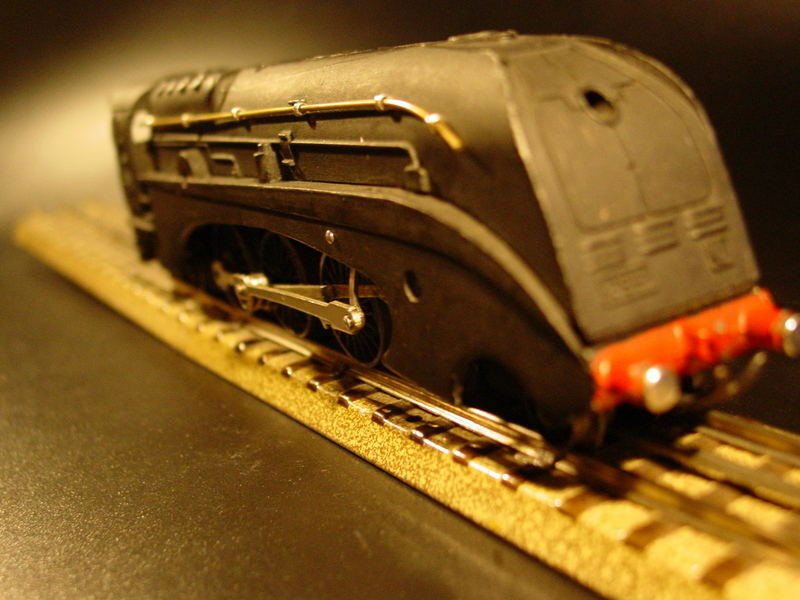 For two reasons, I want a black one: a) because they look more brutal and b) because they seem to have been the ones that definitely pulled the Nord Express out of France, through the Low countries , Germany and on to Copenhagen. At first, I wasn't sure whether any of the 232s were actually black because there were only monochrome photographs available. And, the Tin Tin magazine cover shows a green one and the Jouef model is also green. 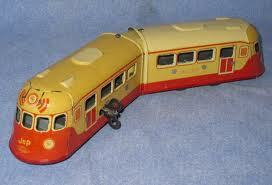 But, this morning I came across a website devoted to the HO scale 232s built by the now (I presume) defunct French toy manufacturer, JEP. The article makes it clear that they were painted in both green and black. These beasts crop up on eBay every now and again at approx £250 which I think is very reasonable. But, I think they are for 3-rail tracks. .Secondly, the white flashing on the Jouef and its real counterpart 232 U1 is more complex than on the JEP. The reason for that is that the rail company knew that the 232 was on its way out and so they adapted the white flashing to look like a stylised Swan as in its swan song. 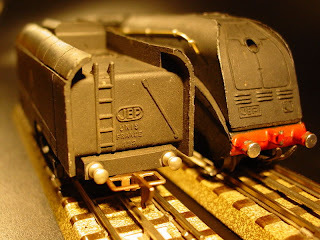 But to confuse things, here is a 232 which is black, has the basic white flashing but has a faring at the front which is a cross between the JEP and the Jouef. 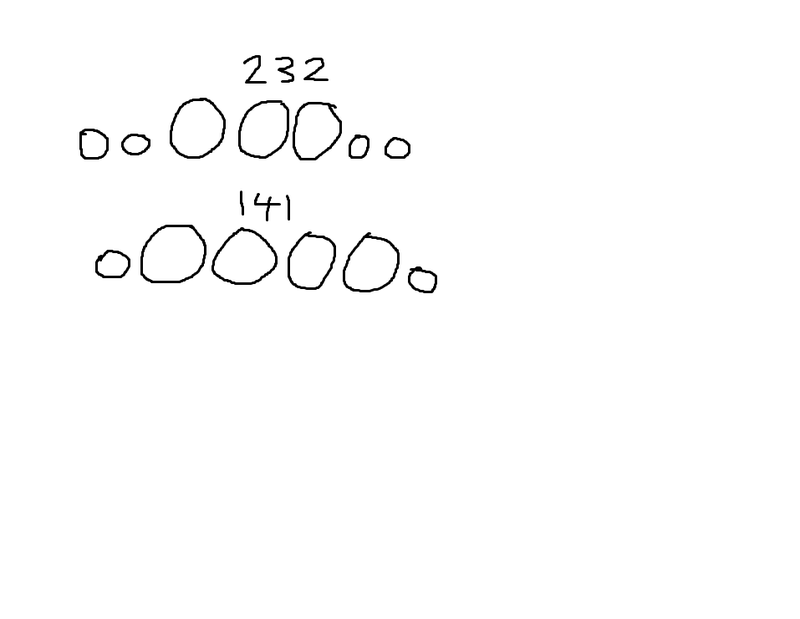 232 R; 232 S or 232 U. Vegetable pakora followed by chicken curry. That's coconut sprinkled over it, that is. 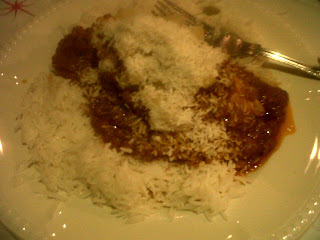 Been going regularly to this restaurant since 1972 and their basic chicken curry is what I always order. 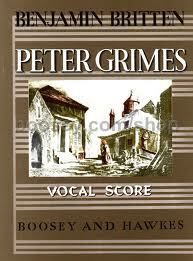 Spent the morning listening to the first half of Benjamin Britten's opera Peter Grimes. Second time of listening and am hugely enjoying it. Must find out what it's about! Went to cinema last night to see Ang Lee's Life of Pi. 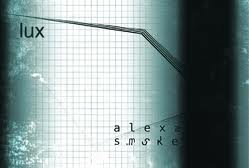 Stayed awake but have never seen such a lot of cinematographic effort spent on such a feeble tale. In the course of my researches into the 232 locomotive, I came across this image of a 1953 edition of Tin Tin. 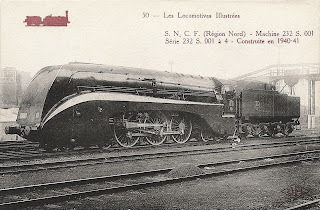 The 232 was the steam locomotive that pulled the Nord Express from Paris to Belgium via Lille until 1961 when the line was electrified. 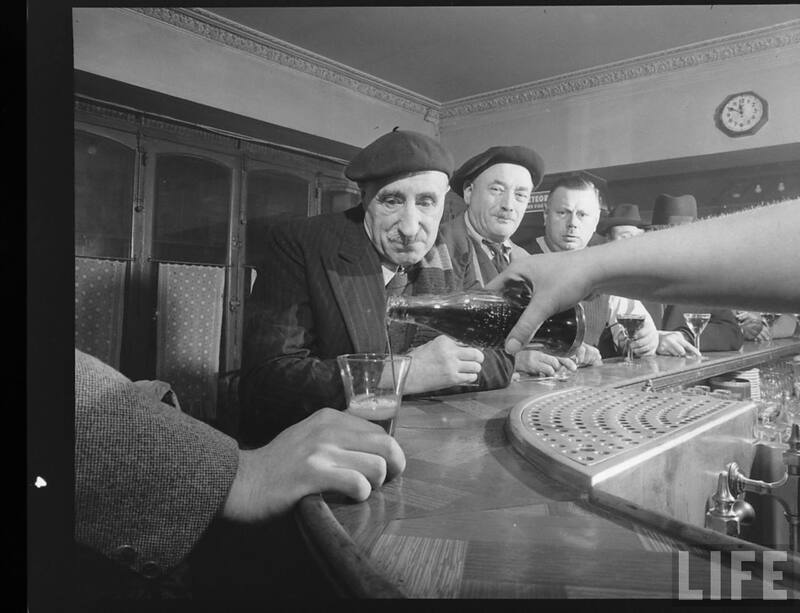 Tin Tin was, I believe, a Belgian creation. Still not sure that the livery is correct for the Nord Express. For example, tracked down these images of a really obscure 232 made by a company called JEP. 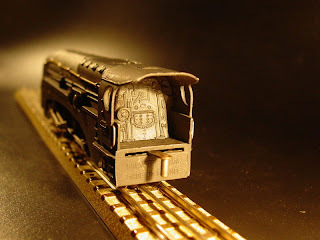 JEP made all sorts of tin metal clockwork trains as well. But, to get back to the livery of the Nord Express. 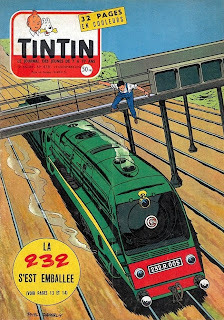 The designation on the cover of the Tin Tin magazine is 232 R 005. 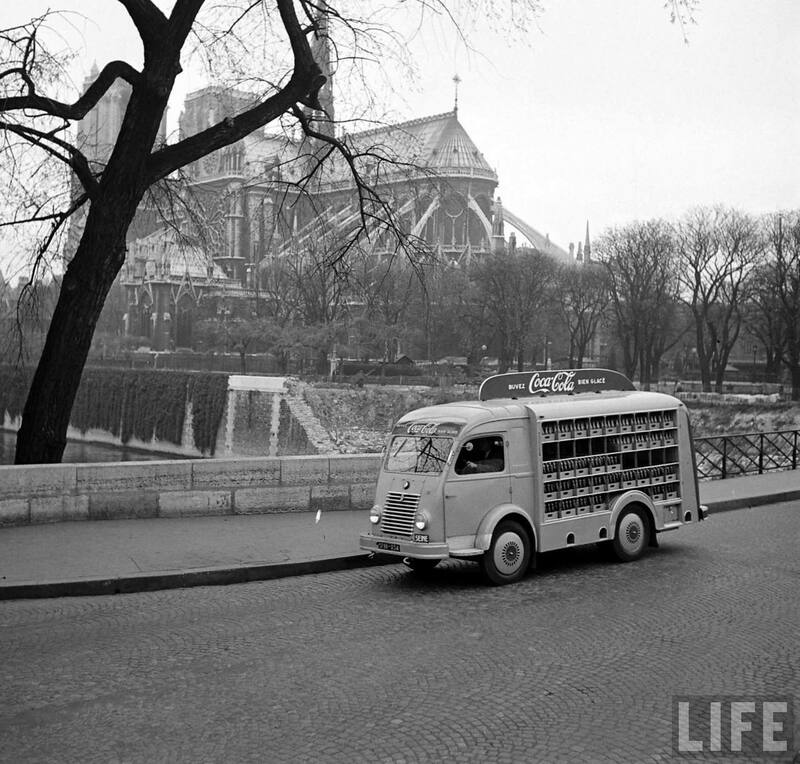 Couldn't find a matching image for that on the internet. 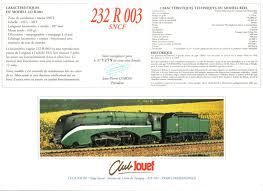 The nearest I could find was the magnificent looking Jouef model of 232 R 003. Magnificent, but still in green rather than black. 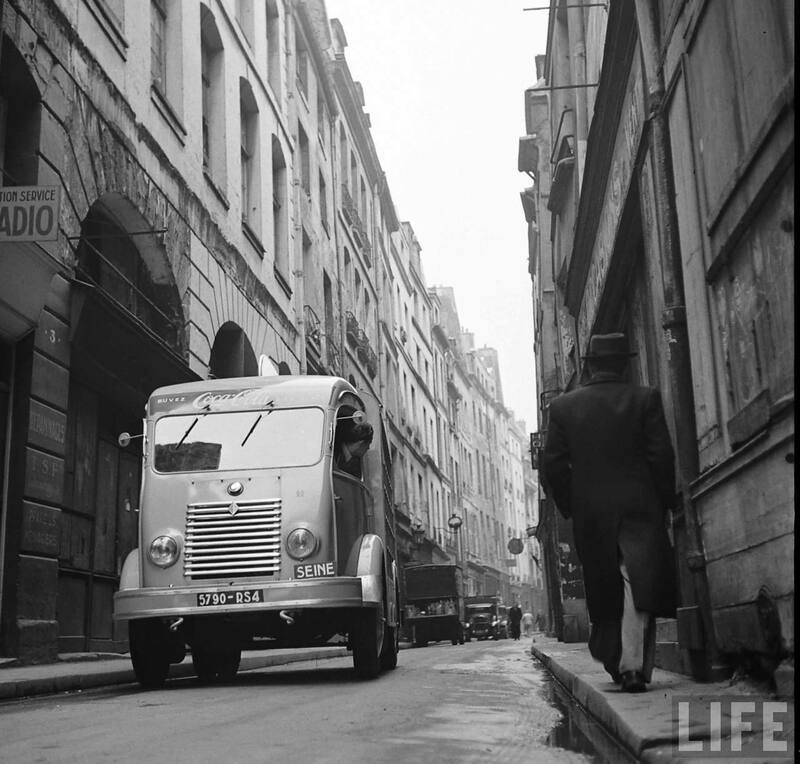 Even though this is a black and white photo, the Nord Express 232s do not seem to be green - but maybe they are! 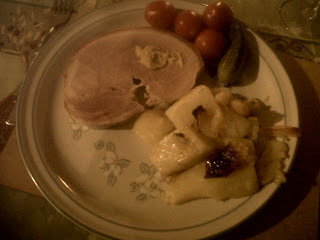 Cold ham and a dod of mustard, roast parsnips and potatoes, gherkins and tomatoes. 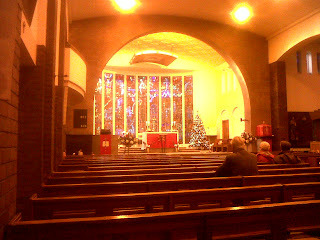 I never question my Faith, ever. I just believe. for Jesus Christ’s sake our Lord. 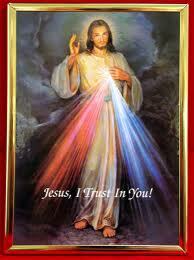 Trusting in the Lord is a specific act of Faith. I'm not sure that it can be deduced from the elementary fact that someone (me, in this case) believes in the existence of God. I'm sure I saw this masterpiece performed at the Usher Hall in Edinburgh some 30 odd years ago. 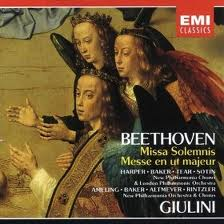 Various recorded versions were reviewed this morning on Radio 3's Building a Library. This one was recommended. 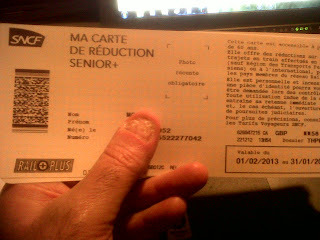 Our discount SNCF rail cards arrived which entitle the user if over 60 years of age to 50% reduction on train travel in France for the next 12 months. 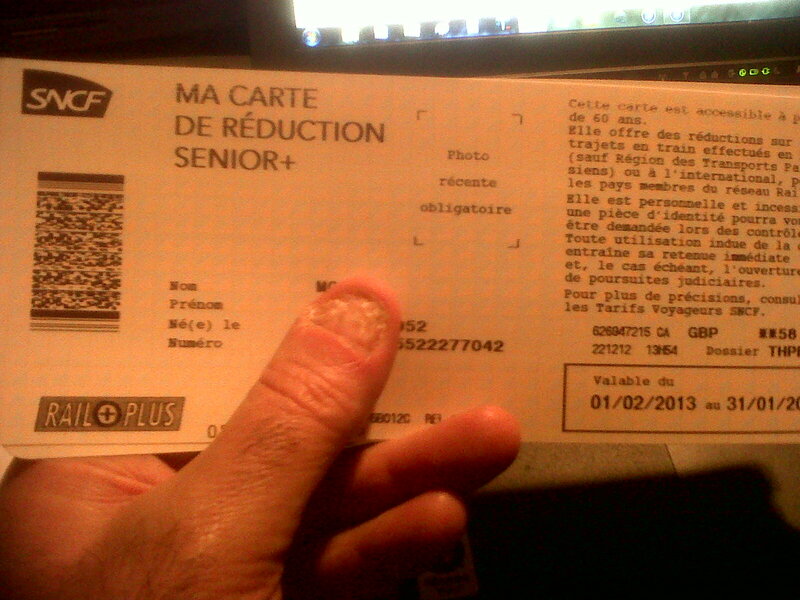 Disappointingly, the card is in the form of a giant ticket which will be a nuisance to fit into a wallet or purse. I was expecting it to be a plastic and credit card sized. 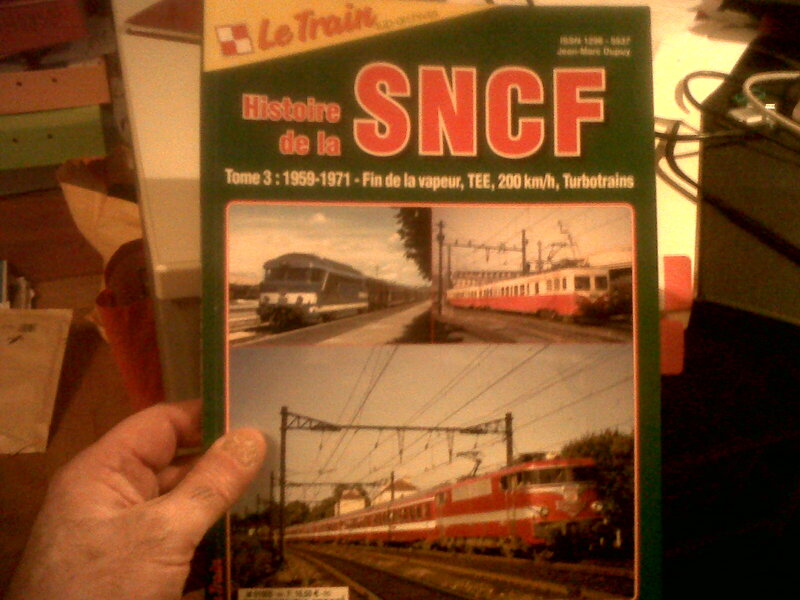 No, that is not my SNCF card number but the numerical classification used to distinguish locomotives in terms of their wheel or axle formation. Being stupid, I never gave a thought to why the most famous passenger pulling French steam engines (vapeurs) were named as 141s or 232s. 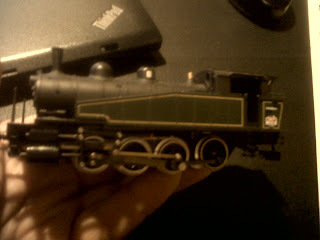 I thought they were sequentially numbered as per when they first came into service or were constructed or some such. I very rarely look for the meaning in things. 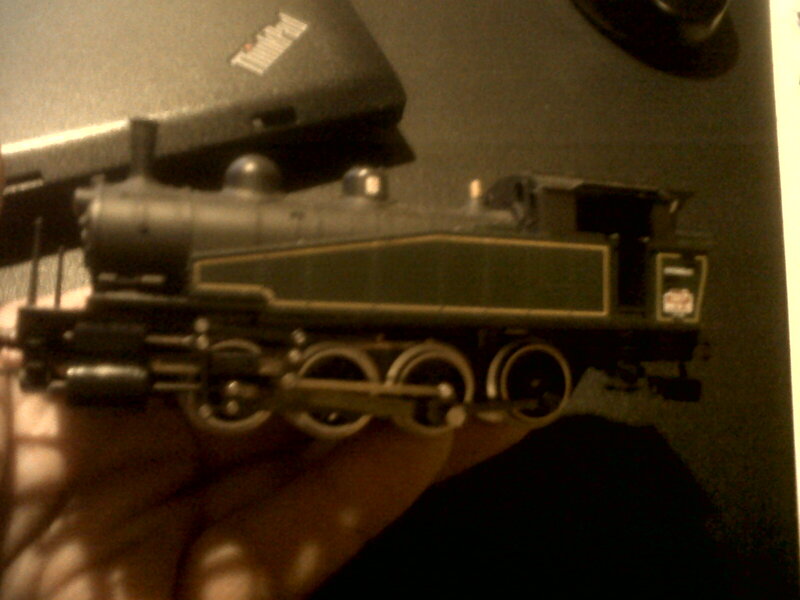 Here's my Jouef 141 R. One small wheel at the back, followed by four large wheels and then one small wheel at the front. 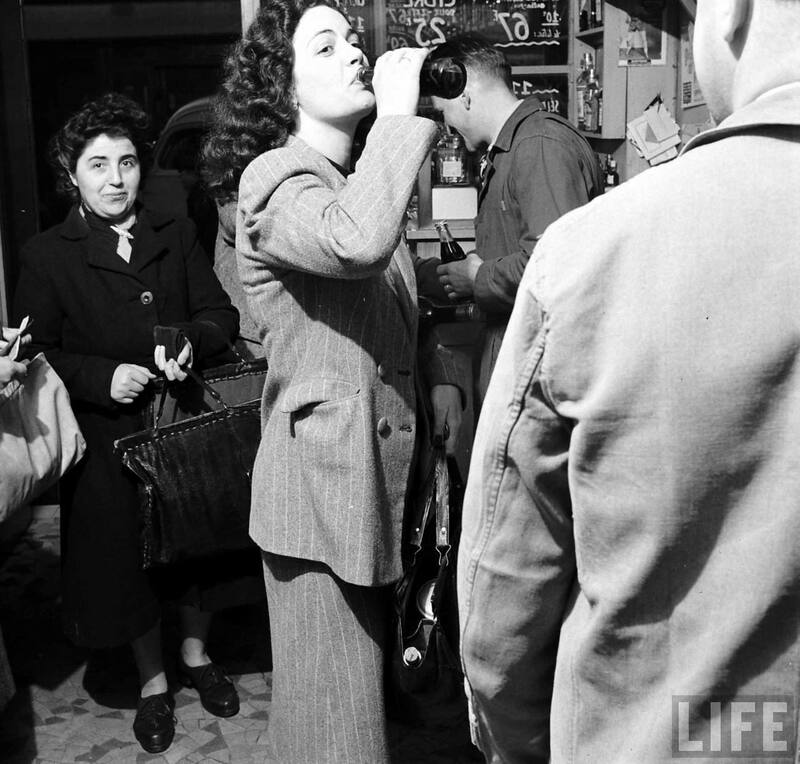 Hence, 141. Two small wheels three large wheels and then two small wheels. 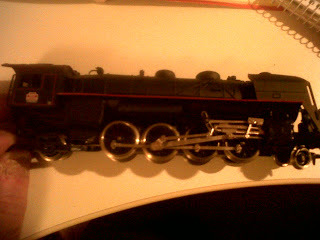 I then looked at the wheel formation of my small Jouef shunting locomotive. And, sure enough, its designation is 0-4-0 ie 4 same sized wheels in a row and nothing else before or after. But in Great Britain, they use the same designation but double it up to count the pairs of wheels at the end of each axle. 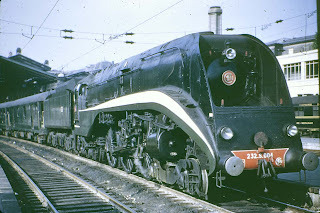 So 232 becomes 4-6-4. 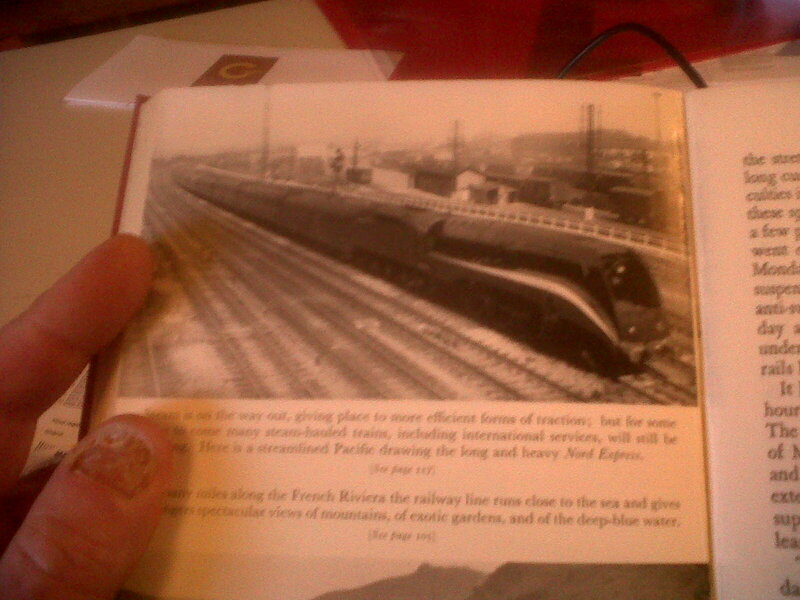 The other classification used in conjunction with steam locomotives is per Ocean eg Atlantic class, Pacific class. 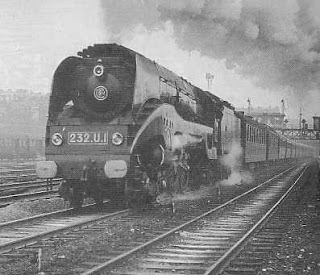 Apparently, because the original 232s were meant to pull the Nord Express all the way to St Petersburg which was on the Baltic, they were referred to as Baltic class. Listening to the Swedish tenor, Jussi Bjorling, singing Scandinavian folk songs. Had a look through this book in search of info and pictures of the type 232 locomotives which pulled the Nord Express out of Paris and up through northern Europe to Copenhagen in the late 1950s. No pictures of said 232 and no obvious references to the Nord Express in the text; but it is written in French so I'll spend some more time looking later. However, it is full of very interesting photographs eg this Renault automoteur on its way from Bordeaux to Lyon. Cold ham, baked potato, gherkins and tomatoes. 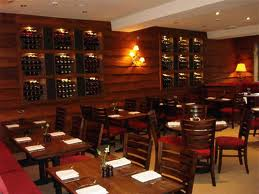 Not keen on French restaurants outside of France - they tend to be far too posh. 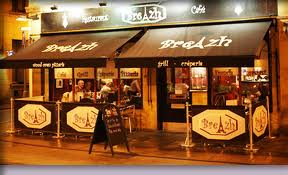 An exception is Cafe Breizh, in Perth, which is excellent in all respects. 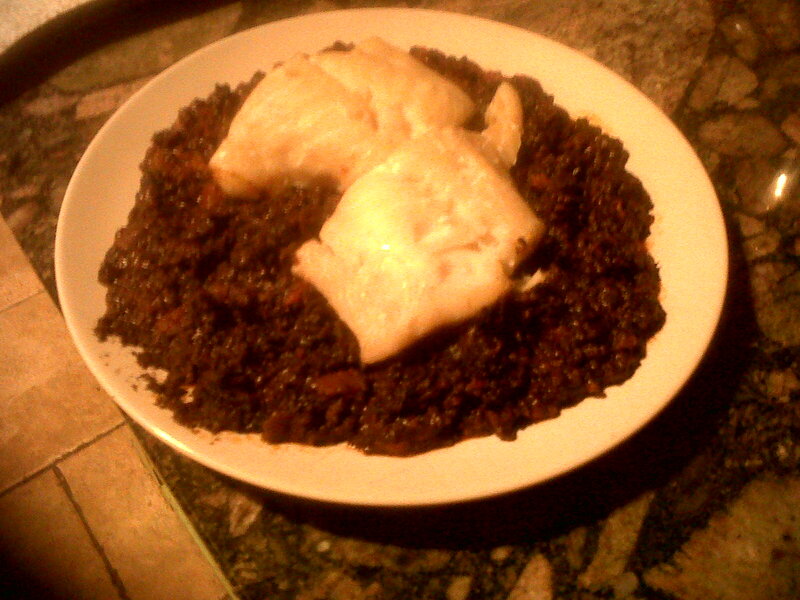 Anyway, tonight we're off to La Valle Blanche in the west end of Glasgow to see what it's like. Someone gave us a voucher for it. 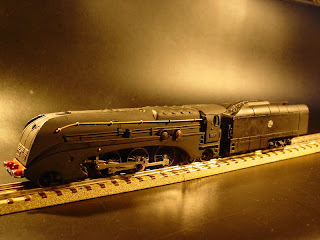 Spent some time today trying to track down an HO scale version of the Nord Express locomotive discussed in yesterday's blog. 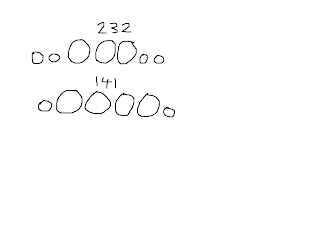 Basically, it is a 232. 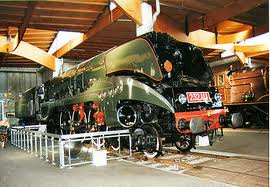 There is a fantastic example of the 232 in the Cite du Train museum in Mulhouse, Alsace, which we saw in autumn 2011. 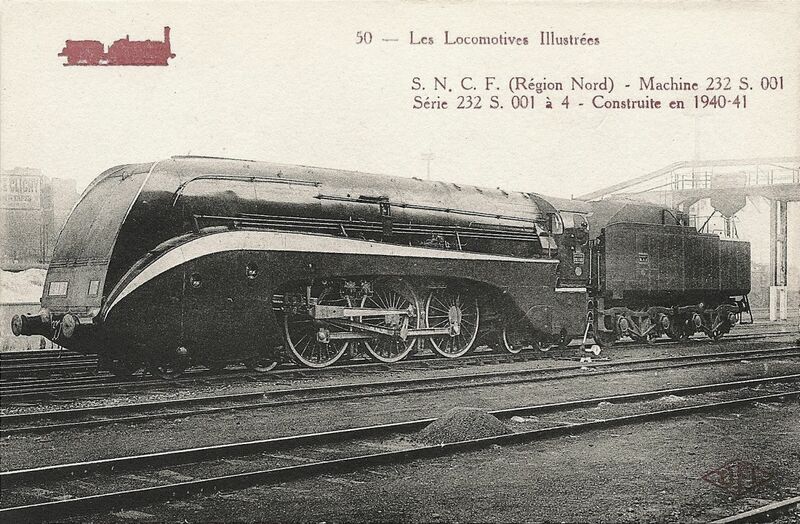 But, as far as I can gather, this particular locomotive only plied its trade between Paris and Lille and was not part of the Nord Express fleet. 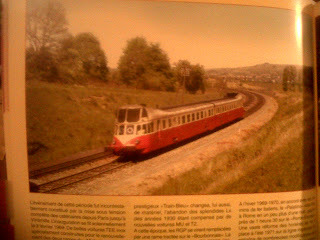 Different livery too, I suspect - see next photo. 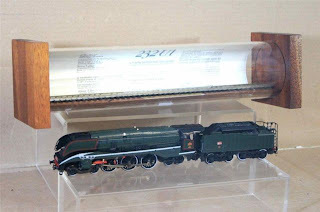 There are two HO scale models of the 232 U1 available - varying hugely in price. I'll keep hunting for the Nord Express version. In the afternoon, had a massive traditional Christmas dinner round at my niece and her husband's house. All hands were to the pump - though not mine - and it was a tremendous success. James Yorkston is a Scottish singer songwriter, from Fife, about whom I know nothing, but his name did ring a bell. Sampled a few of his tracks from iTunes today to see what they were like and, as I suspected, his output is not my scene. For me, all the significant singer songwriters are from the 60s and 70s. There are a few exceptions from more recent times but none of them tote an acoustic guitar. 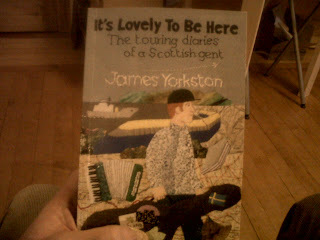 However, James Yorkston has written a smashing little book about life on the road and his various tussles with the music industry. My wife got me a copy for Christmas. 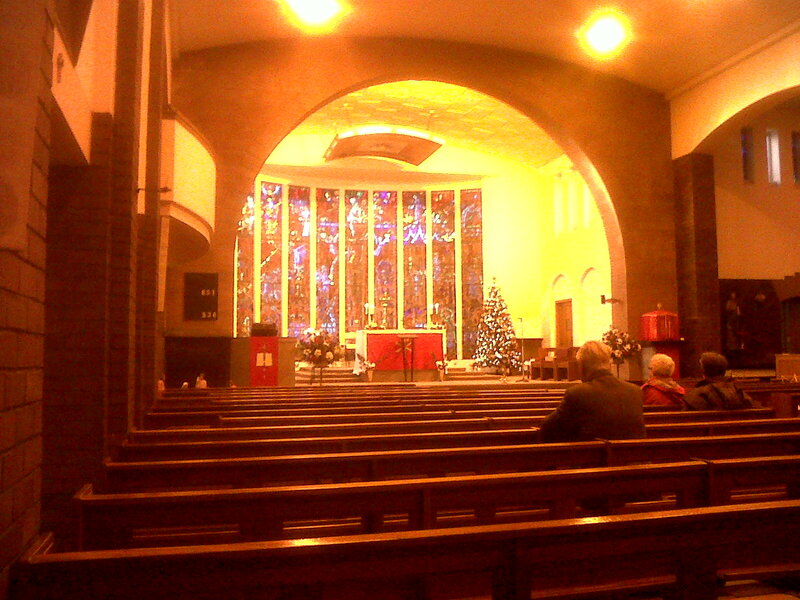 Morning Mass at St Paul's, Whiteinch, Glasgow. 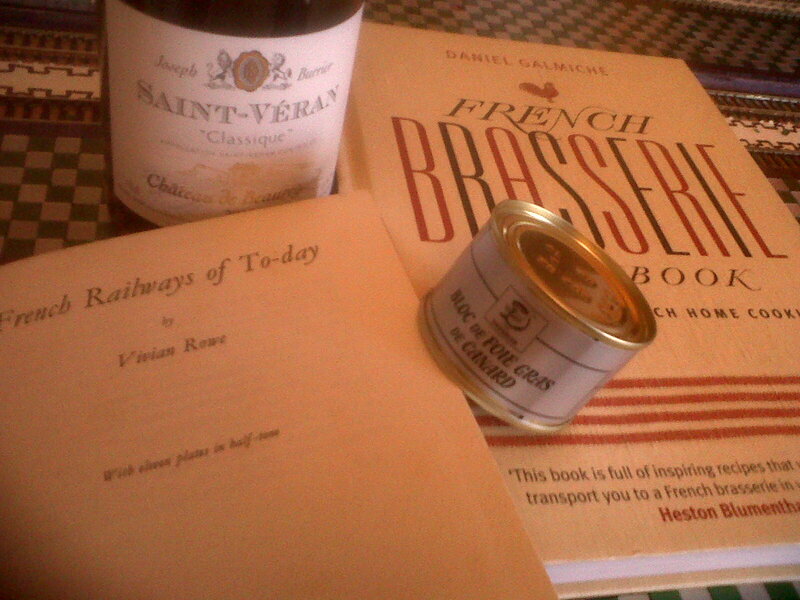 Excellent Christmas presents: a selection. Unfortunately, one of the presents has enormous financial implications. 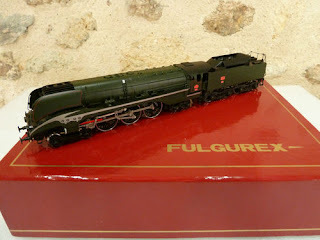 From the very beginning of my French model railway project, I have enjoyed buying things for it much more than making things for it. 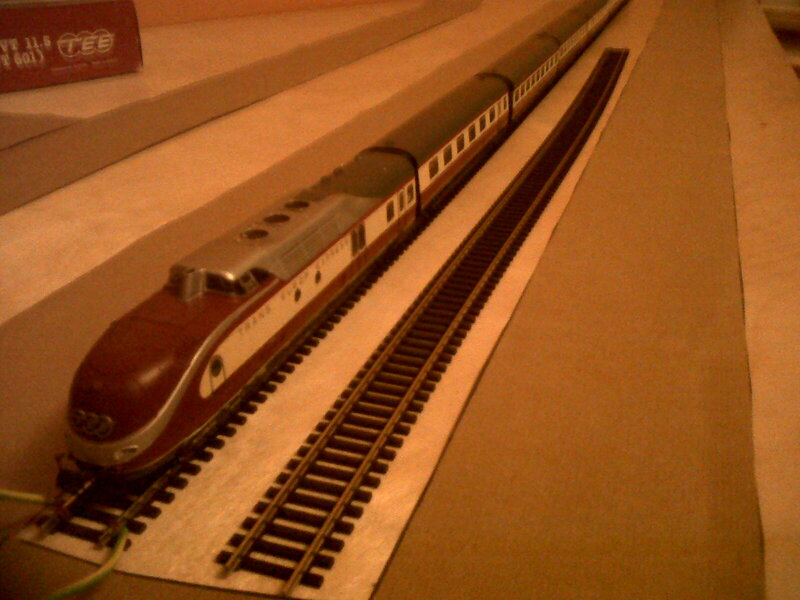 In fact, the first thing I did was to go to France and buy rolling stock. 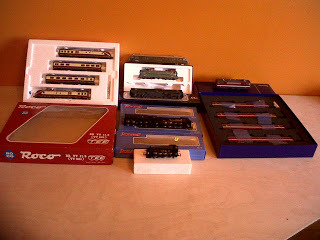 The second thing was to buy more of the stuff online. I was determined to have local suburban services AND long haul passenger expresses. In particular, I liked the idea of running a Trans Europe Express out of my Gare du Nord. And indeed I purchased a TEE by the Austrian model maker, ROCO. The highly tempting photo of the Nord Express. 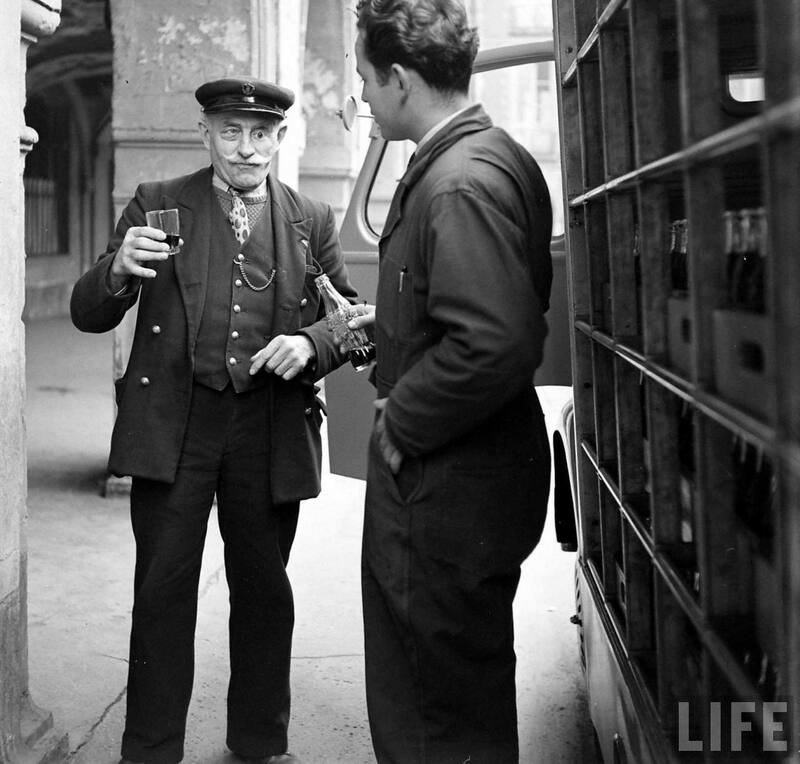 It ran from Paris, through Germany, to Copenhagen - exactly the kind of vibe I'm looking for. But, no doubt it will cost an arm and a leg to get hold of. Perhaps I should adopt the posture of those British football club managers who portentously announce, just before the transfer window opens, that supporters must realise the economic realities that face their club; only after money is raised by selling some members of the current squad, can any new blood be brought into the team. Maybe the ROCO TEE should be sold. I never really liked it in the first place. 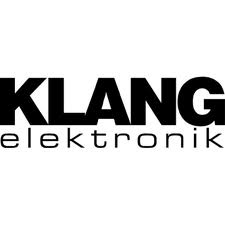 It was the name I liked "Trans Europe Express". 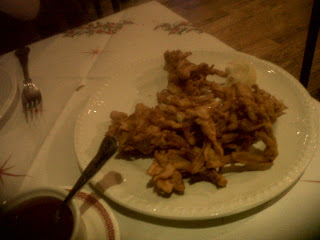 Actually, when I look at these photos again, it seems quite attractive. 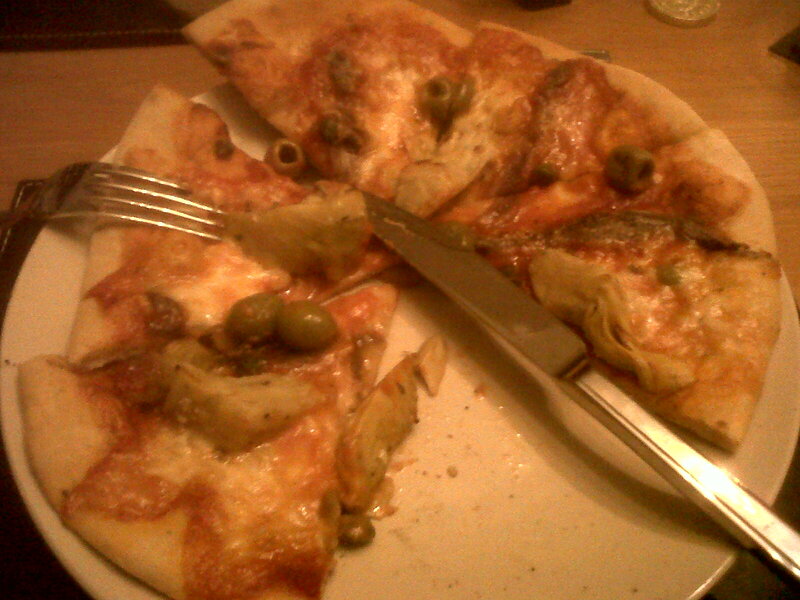 Usual toppings of artichokes, green olives and anchovies. 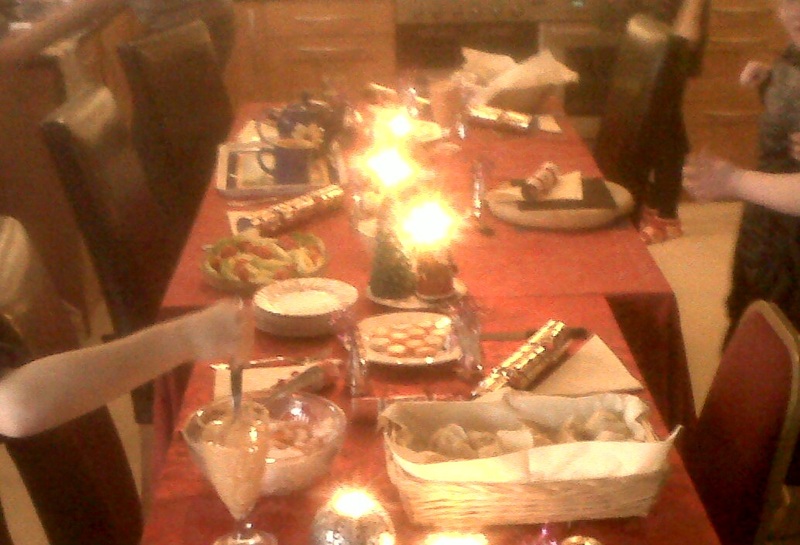 Washed down with coca-cola.